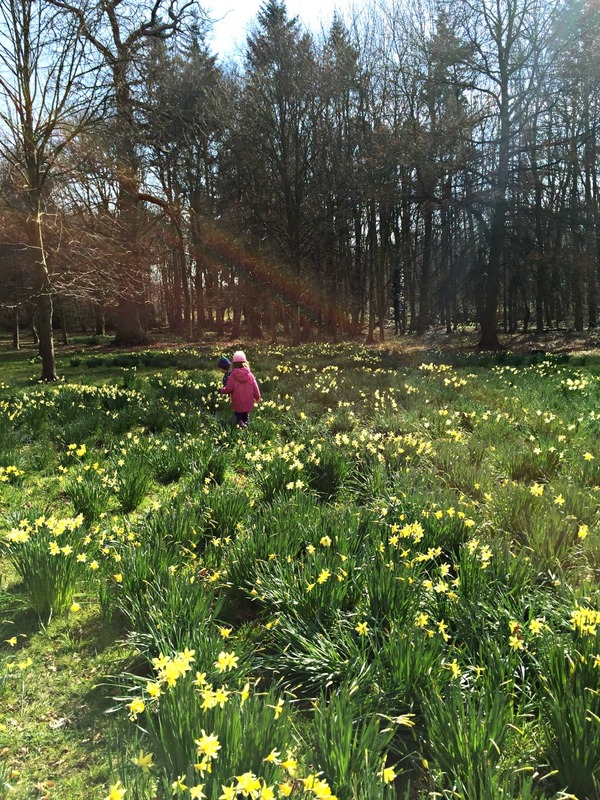 The kids have been noticing lots of daffodils lately and my daughter seems to be quite taken with them. On Friday when we were out she spent ages just walking through a small field of them. 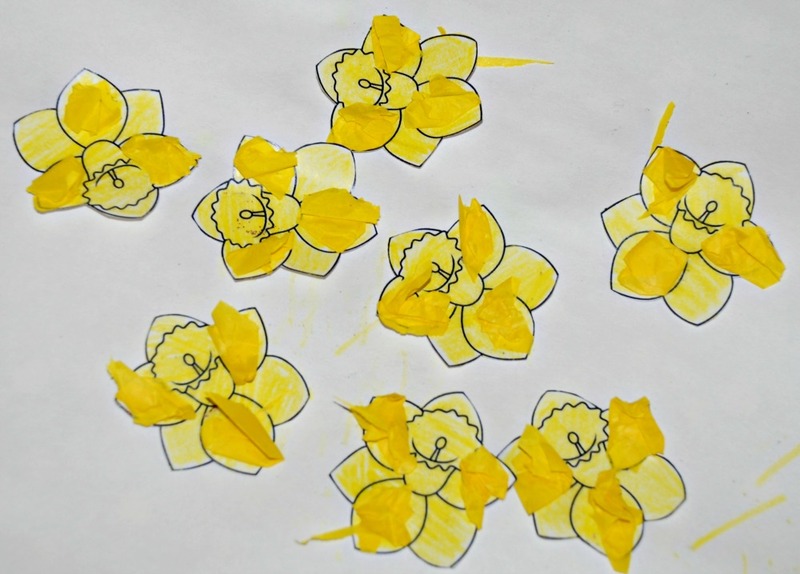 So it was no big surprise when she asked if we could do a daffodil craft and as both kids are still on a slight paper plate painting craze – where their crazes come from I never know. I thought we could use one of the painted paper plates and make a Daffodil Spring wreath. We used the daffodil colouring page from Activity village but I reduced it in size (I printed 4 on a page) and we cut them out and the kids coloured them in. 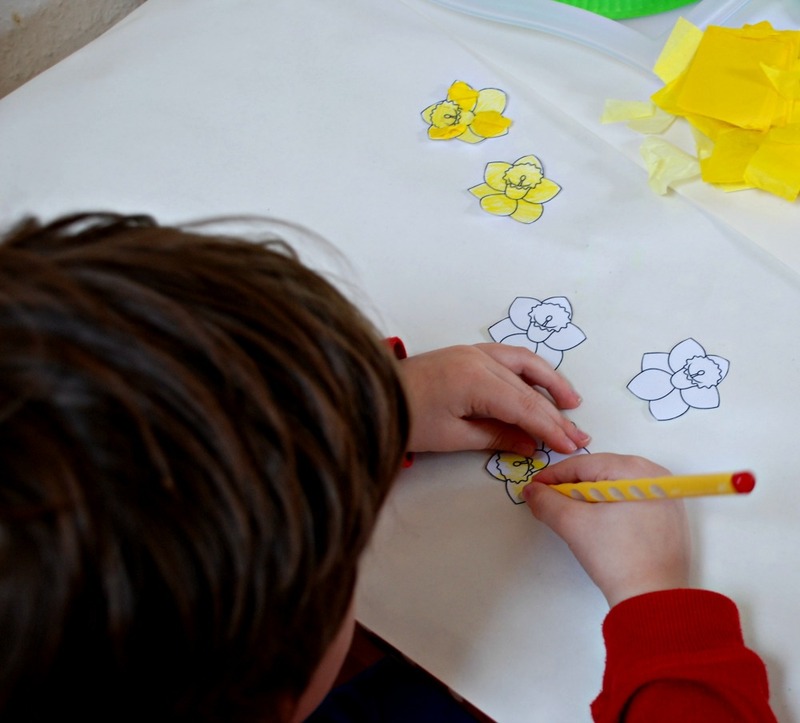 The Daffodil colouring page is now included in the Activity Village membership deal. And my daughter could not resist the temptation to add tissue paper – I think she was trying to use it create some depth – something new which she is just started to play around with in her crafts. And finally on her painted paper plate. Not bad for a totally spur of the moment weekend daffodil craft. 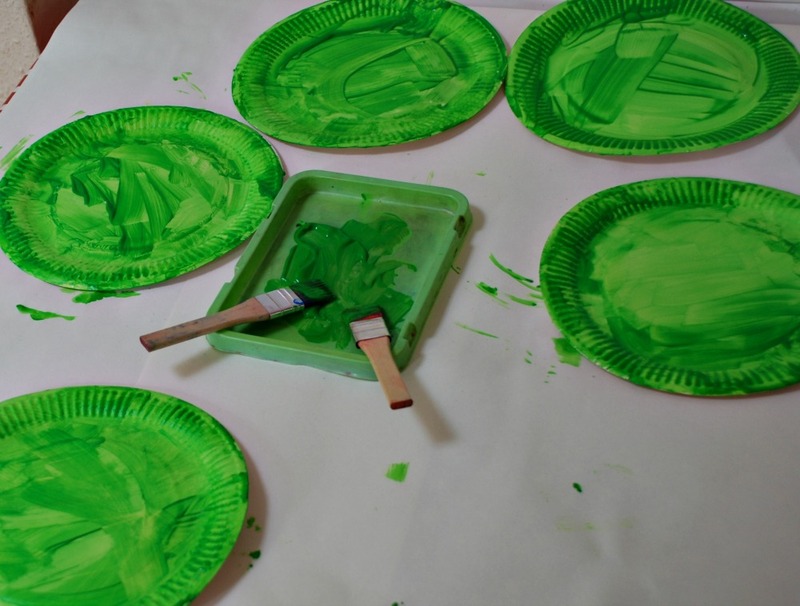 And it has given me a new idea on how to use all of our green painted paper plates next week. 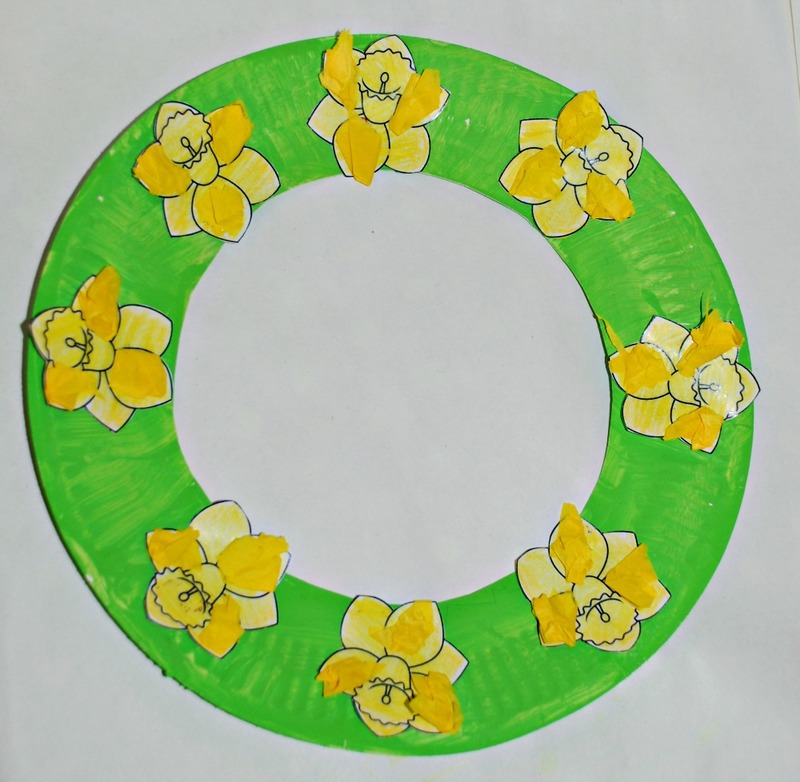 This entry was posted in Art and Craft Ideas and tagged activity village, children's craft, Daffodil craft, home education, Spring craft, Spring wreath. Bookmark the permalink. This is such a great idea. Will definitely be having a go at this! Thank you for sharing! Love the added tissue paper! That’s so cute! We like to use tissue paper for crafting, also.